Negotiations to reduce journal prices and promote﻿ open access are progressing slowly. 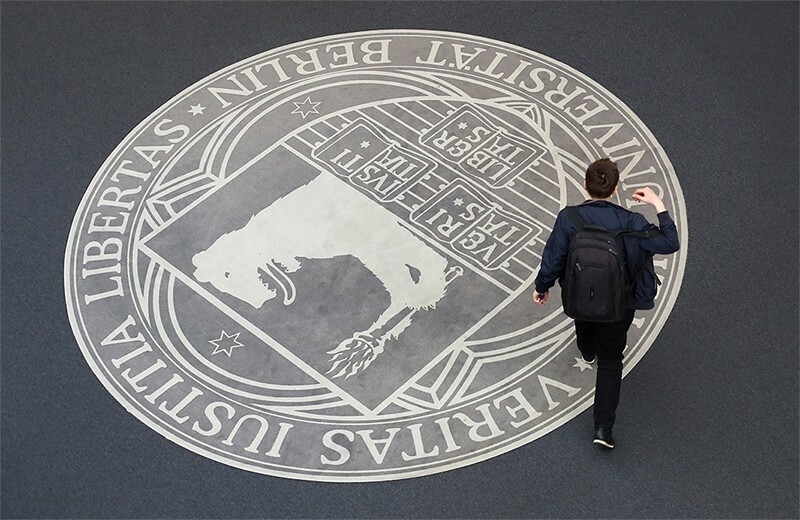 The Free University of Berlin is part of a consortium that is negotiating with Elsevier.Credit: Hannibal Hanschke/REUTERS. Around 200 German universities will lose their subscriptions to Elsevier journals within weeks, because negotiations have failed to end a long-term contract dispute. The conflict between Elsevier, the world’s biggest publisher of scientific journals, and Germany’s entire university system has dragged on since 2015. Academics in the country lost access to Elsevier content briefly early this year, but it was later restored while contract talks resumed. Advocates of open-access publishing worldwide say that victory for the German universities would be a major blow to conventional models of scientific publishing based on subscription fees. Germany’s firm stand in the battle to reduce subscription prices and promote immediate open access could herald profound changes to the global landscape of scholarly publishing, they say. Negotiators with ‘Project DEAL’, a consortium of university libraries and research institutes, have been in talks with Elsevier for more than two years. They want a deal that would give most scientists in Germany full online access to 2,500 or so Elsevier journals, at about half the price that individual libraries have paid in the past. Open access is proving to be the sticking point in the talks: under the deal sought, all corresponding authors affiliated with German institutions would be allowed to make their papers free to read and share by anyone in the world at no extra cost. Research institutions and funders worldwide are adopting open-access policies. An analysis published in August, led by information scientists Heather Piwowar at the University of Pittsburgh in Pennsylvania, and Jason Priem, who runs an online service that promotes open science, found that 28% of the global scholarly literature is freely available in some form, including in university repositories1. The growth rate of open-access articles is much higher than that of articles behind paywalls2. In September, a Finnish university consortium that sought a nationwide contract with Elsevier reached a preliminary understanding with the company after lengthy negotiations and a temporary strike by peer reviewers. Details of the agreement have yet to be disclosed, but sources say that it will include both reduced journal prices and permission for some articles by Finnish authors to be made freely available at no charge. Some 19% of research articles published in 2016 that included a German author were published in an Elsevier journal, says Hannfried von Hindenburg, a spokesman for Elsevier. “We recognize the urgency of achieving 100% gold open access, and we are happy to support that goal as much as we can,” he says. The challenge is to make the transition sustainable for all parties. Asking national consortia to pay for subscription fees and for open-access publication “can be quite expensive for countries like Germany with a large research output”, says von Hindenburg. Germany is also negotiating an open-access deal with Springer Nature, Nature’s publisher. (Nature’s news team is editorially independent of its publisher.) To buy more time, both sides agreed in October to a one-year extension of all existing contracts that are due to end on 31 December. Piwowar, H. et al. PeerJ Preprints 5, e3119v1 (2017). Tennant, J. P. et al. F1000Research 5, 632 (2016).